This quote is the basis of my favourite theory in just about any creative field, it comes from the great auteur director David Lynch and talks about film-making and ‘The Eye of the Duck Scene’. Lynch is saying that we can look towards nature and at the world around us to inform our own creative endeavours; if we observe, we can be inspired by the way things fit together and take this into our own projects. In the quote above he is talking about his love of the ‘design’ of the duck and how the ducks eye holds the aesthetic of the bird together. He is noting that it is a unique feature on the bird, small in terms of how much space it occupies but a feature that grabs your attention rather than something you notice through extended study. You may be thinking ‘a duck is a duck and the eye is just where it is’. Well imagine the duck without the eye, or an eye that was twice as big but with a dull matt finish. Or how about just with the eye in a different place – say further down the head, right next to the detailed area of the bill where it doesn’t have the space to shine. It’s still a duck right? It still quacks and wants a bit of your sandwich when you’re in the park. But something is not right, the duck doesn’t engage visually in same way. You still get the overall shape, the feathers, the movements, the noise; but that one feature that helps you understand what you are looking at in a penetrative sense is not doing the same job or is not even there at all. It’s is still a duck, but not quite as we know it. Lynch takes this idea and transfers it into the structure of his own films. But how do soft fluffy feathers, rubbery legs and jewel like eyes translate to film? 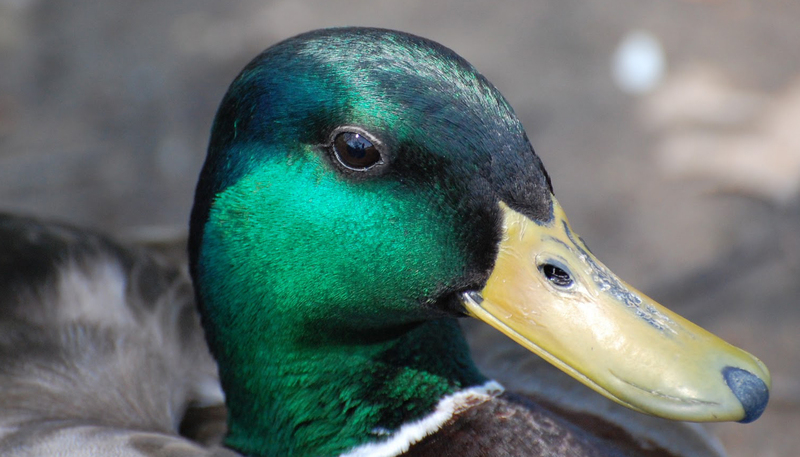 Metaphorically the duck is the film; the body parts, in an abstract way, relate to everything that is needed to create a film – plot, script, pace, cast performance and so on. But then there is the eye; the eye is that certain scene, that’s in the right place, at the right time that becomes the most important and interesting part of a film. Like the eye, it shines out of the overall form as something different and draws you into the film makers world in a ways that everything to that point was unable to do. By the way, when I say ‘most important’ I don’t mean it’s a turning point or a huge plot twist. It’s important because the scene is unique. It does not drive the plot and on the surface it might not provide anything significant; but actually it provides something different from the rest of the film, something more insightful. For example it may allow a character to react to a situation that is unlike anything the plot has thrown at them so far, allowing the viewer to form a deeper understanding of the their motivations. Maybe the scene is not about the main characters at all and instead it reveals a central theme of the film through a side plot. Once viewed, this scene effects the way you view the overall picture the film maker is painting. Like the eye, if the scene arrives in a different place – too early or too late; if the scene overstays it’s welcome or leaves too quickly it no longer works. It no longer has impact. It no longer demands your attention. If the scene was not there at all, the film would still be a film, just as without the eye a duck would still be a duck. In the case of the film the characters would still get to point B after setting off from point A, and if the script is any good the plot would still make sense. But something would be missing. Something would be lost. The film might go from a Paul Thomas Anderson to Michael Bay.